My Top 10 Fancy Cool Hoodies for Men! 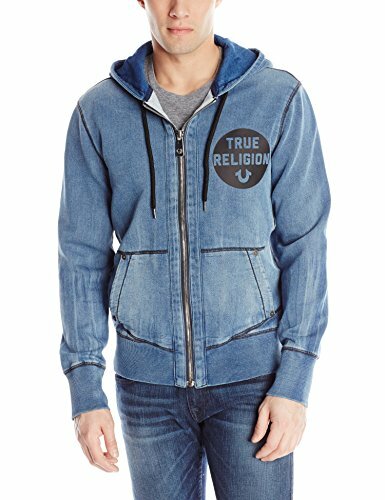 My Favorite 10 Top Quality, Coolest Men’s Hoodies! Winter is basically here at full force again and with winter comes warm coats, cool jackets, soft sweaters and cool hoodies! Guys look great in any of those, but a nice hoodie is perfect to wear underneath a jacket, when you need to ‘layer up’ and cover your head! 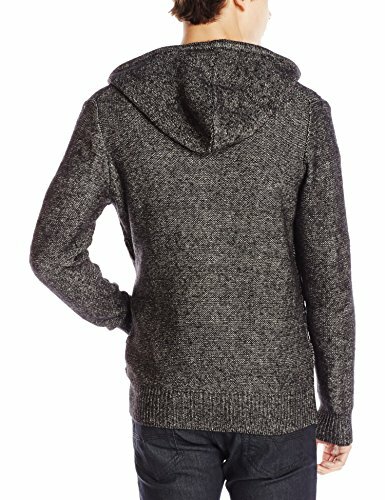 I found a few of the best and coolest hoodies for men being sold online, based on their high quality (always! ), nice and trendy colors and looks! They should be trendy and fashion enough so you don’t have to take it off when you get to a place. They also make great Christmas gift ideas for men, of course! A nice quality men’s hoodie should also be extra-soft and comfortable, especially if you are going to be wearing it underneath another jacket or coat during winter time. *This gorgeous ‘antique look’ indigo light wash blue men’s hoodie is soft and comfy to wear! It looks great and it feels great! As you can see it looks absolutely amazing with a pair of jeans! Best Hoodies for Men 2016! If you are looking for the best of the best, top quality hoodies for men, need I say anymore? 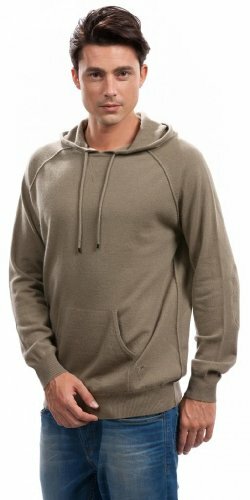 This is a gorgeous 100% cashmere men’s hoodie available in 5 classy colors! Just by looking at the guy wearing it on this picture you can ‘feel’ it is extra-soft! 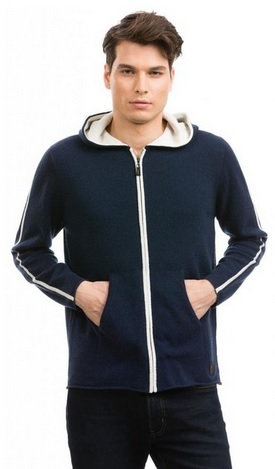 Another gorgeous and top of the line high-quality 100% cashmere hoodie for men in beautiful navy blue and white colors! I love this ‘casual meets fancy’ look! Perfect to wear anywhere, anytime during winter! It goes great with a pair of black pants or jeans! 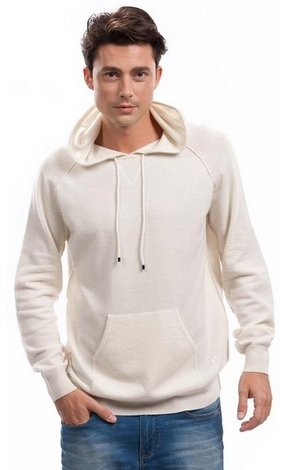 Beautiful 100% Cashmere White Hoodie for Men! I LOVE white hoodies in men! White goes great with every other color! Look how nice this guy looks wearing faded jeans and his nice white hoodie! It’s also buttery soft and ultra-comfy! Very Cool Men’s Cotton Long Sleeve Hoodie Wine Color! 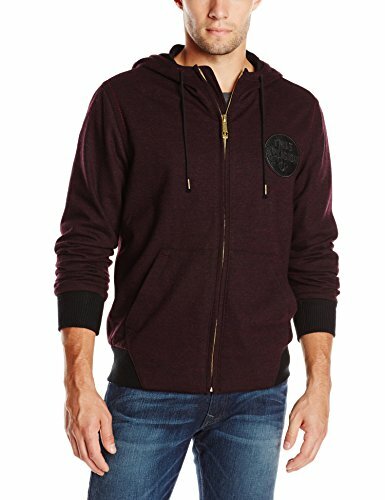 This is a very cool looking, beautiful wine color, trendy 100% cotton long sleeved men’s hoodie sweatshirt for sale! I love the cool youthful design! Goes awesome with a nice pair of jeans! If you are looking for high-quality but casual looking cool hoodies for men, I think you are really going to like this one! It is a very nice and very cool long sleeved gray hoodie with a very cool playful design! Look amazing with jeans pants! Polo Ralph Lauren Classic Men’s Fleece Hoodie RED! 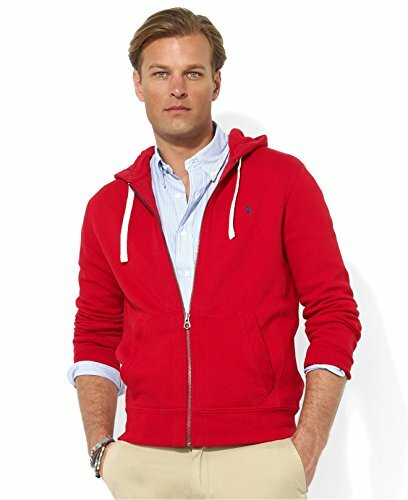 What a gorgeous bright RED Polo Ralph Lauren fleece hoodie for men! Perfect to wear for next winter! It stands out in the crowd and it’s very fashion! 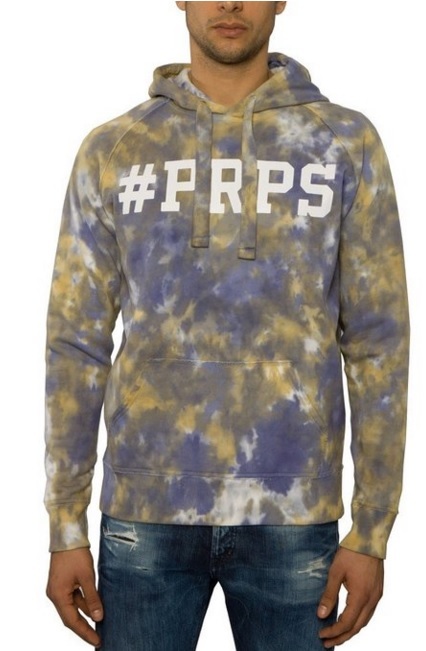 Very Cool Men’s PRPS Hoodie! I also love this beautiful color combination! Made of cotton and polyester fleece it is amazingly soft! Fashion Calvin Klein Men’s Hoodie! 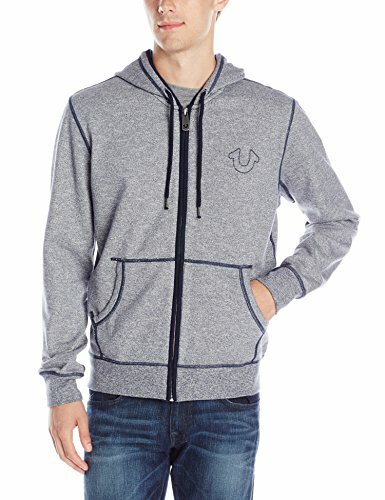 I love cool and unique colors and this black and gray color men’s Calvin Klein hoodie is very cool! It looks amazing with a pair of black jeans and a black t-shirt underneath, just like this guy in the picture! It’s a ‘fancy casual look’! Arc’teryx Gamma MX Hoody – Warmest Men’s Hoodies! Now if you are looking for the highest quality, coolest and warmest men’s hoodies for sale, this is it! 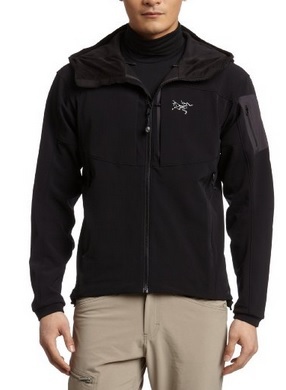 You can’t go wrong with these Arc’teryx soft shell warm hoodies for men! They are top of the line, very durable, wind resistant and a very warm and cozy microfleece lining! Cool High Quality Fancy Sweaters for Men! Best Winter Coats for Men!